Nut tray turned from the same piece of recycled timber, you can see a similar pattern to the last platter 200 mm in diameter. Turned from the same piece of recycled wood you can see a similar pattern in the wood as the last platter I turned. 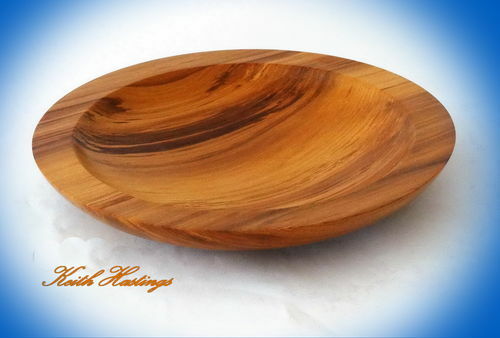 I like the shape of the tray Keith, and the wood is amazing. Can I ask what it was recycled from? John…It was the capping piece on a veranda wall. Nice Nut tray Keith, good recycle project, job well done. Love the shape on that one! just gorgeous keith,that wood is incredible. Very classy shape Keith. Looks great! Well done!